If you would like to receive general communications about The Auction Department at DNG Ella Dunphy, such as upcoming events, our live auctions or conferences we will be attending, please provide your information and click the opt in below. 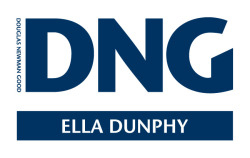 The Auction Department at DNG Ella Dunphy confirm that your information will only be used for this purpose and will not be shared with any other party without your prior consent. You can also opt out of these communications at any time. By opting in, you are giving consent to receive communications from The Auction Department at DNG Ella Dunphy.